Welcome to the Resilient Communities research programme. 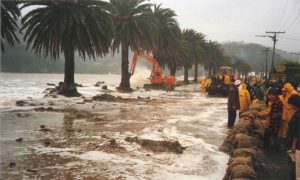 By 2050 around 1 million older New Zealanders will be living in areas vulnerable to flooding, coastal inundation, snow, land subsidence and storms. This research programme has explored ways older people help themselves and their communities to manage and recover from adverse natural events. The research programme has been completed. We wish to thank those many older people and organisations, as well as our New Zealand and international experts that participated in and supported the programme. You can access these tools through the links attached to them. You are welcome to download and use these. Research findings, presentations and reports can be found on the publications page.